There are a lot of cool gadgets that you can outfit your car with. We’ve already showed you how Android Double Din’s can bring you some sweet mobile connectivity and access to apps that the traditional radio just isn’t capable of. And while that’s more practical, you might want to impress your friends with with some Sci-Fi-like gear in your car. 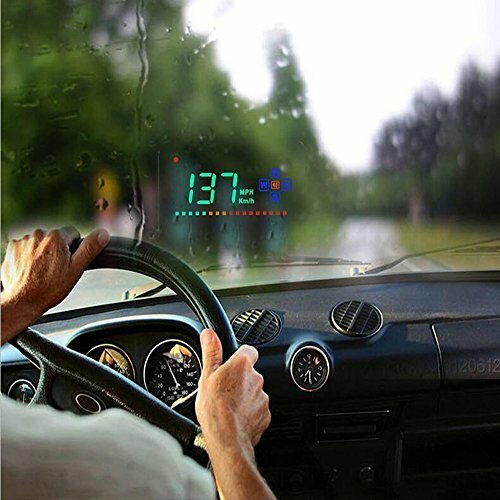 With a Heads Up display, you can get cool information like fuel mileage and current speed, displayed on the reflective side of your car’s windshield. 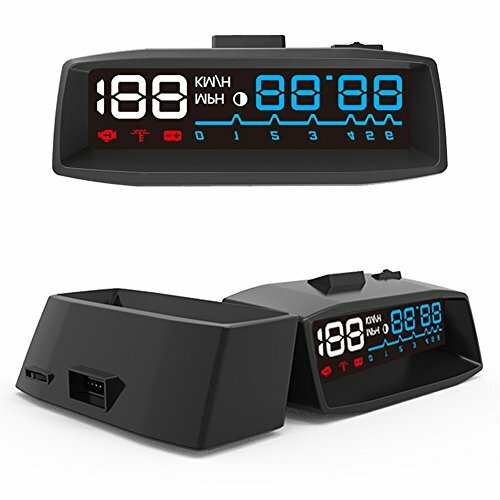 These Heads Up displays usually run off of your ODB II port as its power source and source of data, but this makes them quick and easy to install. Set it up on your dash, and you can get that cool real-time data every time your car is turned on. So whether you want to impress your friends with this sweet new technology or are looking for a safer way to see this type of data while driving, you might want to considering picking up one of these HUDs. If you follow along below, we’ll show you the best options that are currently available on the market. Here are our top picks. First up on our list is the AutoLover A8 HUD. 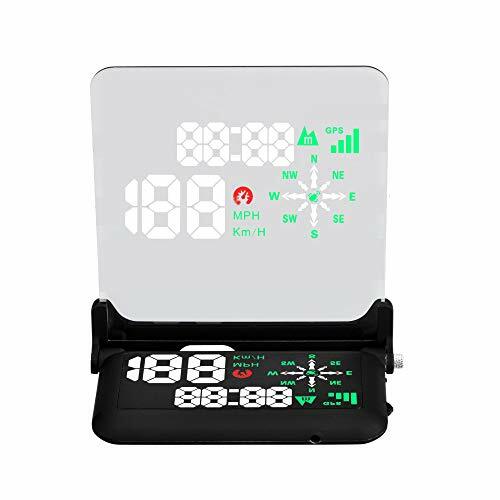 This one can display a lot of data right on the inside of your car’s windshield — you can watch RPMs, speed, fuel mileage, external temperature, speed in miles per hour or kilometers per hour, and so much more. 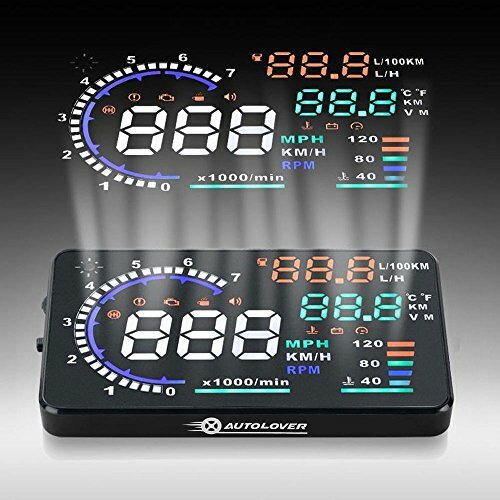 It has a sleek design so that the HUD doesn’t look out of place in your vehicle, and then the information is organized in a way that you can understand most of it in just a glance. This one plugs in to your car’s OBD II port, so you’ll need to make sure that your vehicle is OBD II certified before using this one; however, cars that have been made in the past decade all run off of OBD II, so you should be pretty safe there. Next up on our list is the DODORO A2. This is a HUD for the minimalist who only wants to see some basic information. This HUD is a meager 3.5-inches in size, so it blends in with your car’s dashboard nicely and doesn’t look too out of place. The only information it shows is your speed as well as what direction you’re headed in. 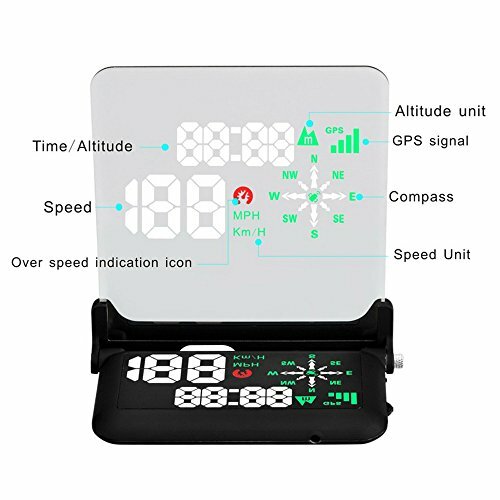 The unique aspect about this Heads Up display is that it actually runs off of your car’s cigarette lighter, not the OBD II port. That said, you might want to do some testing before relying on it for your speed to make sure it’s accurate. It uses its own sensors to see how fast you’re travelling, and that can be significantly different than the information that your speedometer gets from your car’s transmission. Still, this is a great option for those that only want this minimalist data. The Vansky Dashboard Phone Mount isn’t totally a heads up display (HUD), but it might look similar to one. 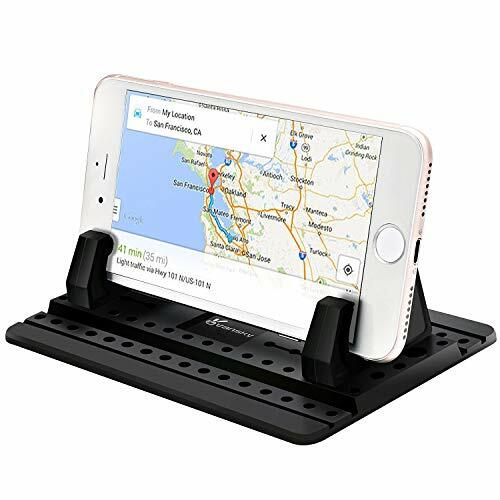 This has a textured mat to keep the mount firmly in place on the dashboard, and then there’s a mount on top of it that you can set your phone in. This makes it easier to use information like Google Maps for navigating to your next destination. 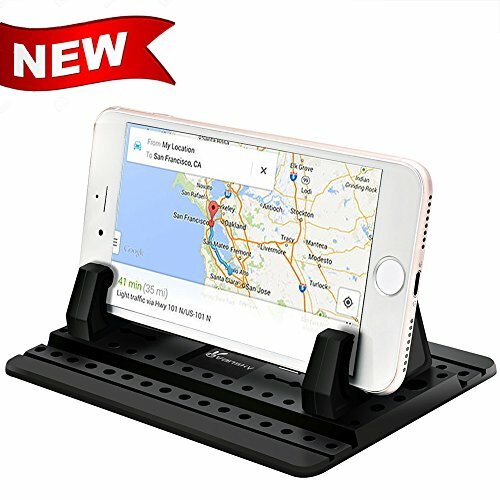 Obviously this mount doesn’t use any power, but you might need to keep a phone charger plugged into your cigarette lighter to keep your phone charged while using Maps programs. We’re also big fans of the Sherox A900 Car HUD. 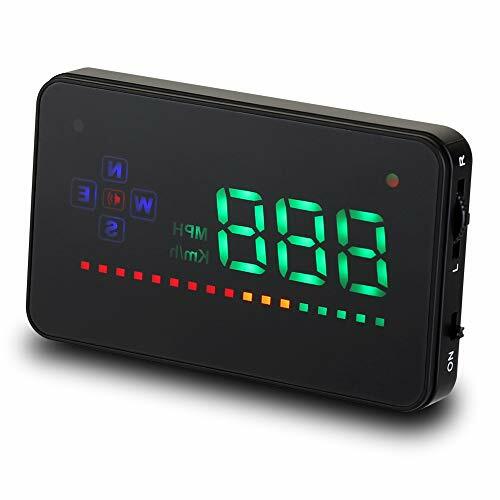 This is a OBD II certified device, so it does pull information directly from your car’s computer by way of the OBD II port. It’s a brightly colored display that automatically adjusts based on the current level of light. It will show you a bunch of information, including vehicle speed, voltage, time, fuel consumption, and more. The ITEQ Universal GPS HUD might be last up on our list, but it’s still a Heads Up display that’s worth considering. This one offers a lot of the same information that OBD II HUDs offer, but just displays it in a different way. Not everyone wants data to reflect off of their car’s windshield, so the ITEQ actually reflects the data off of its own polarized pad to the HUD display. It’s a larger unit than most on this list, but still works wonders. As you can see, there are a lot of HUDs to choose from. However, if you want data directly from your car’s OBD II port, your best option is either the AutoLover A8 HUD or the Sherox A900 Car HUD.